Next up on our Song-By-Song preview is the official entry from Belgium, “A Matter Of Time” by Sennek, written by Laura Groeseneken, Alex Callier, and Maxime Tribèche . The song is performed in English. Sennek (real name Laura Groeseneken) is a singer, songwriter, vocal coach and musician who also works as a visual merchandiser for Ikea (go figure). 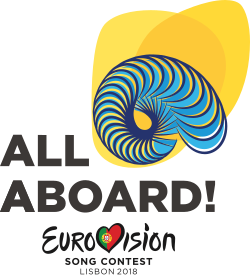 The song will be performed 4th in the competition order on the first semi-final on May 8. Belgium made their debut in EuroVision in the very first contest in 1956, and have participated fifty nine times – the three years they missed – 1994, 1997, and 2001 – they were relegated out due to low scores from previous contests. They have one Grand Final win under their belt in 1986’s “J’aime la Vie” by Sandra Kim. They have finished last eight times, with two “nul” points years in 1962 and 1965. Their fortunes have greatly improved of late – they have had four top ten finishers since 2010.